Dubai: Dubai’s new ‘city’ being created next to Al Maktoum International Airport and the Expo 2020 venue should have a resident base of 50,000 and more by the time the event opens in October 2020, senior officials say. 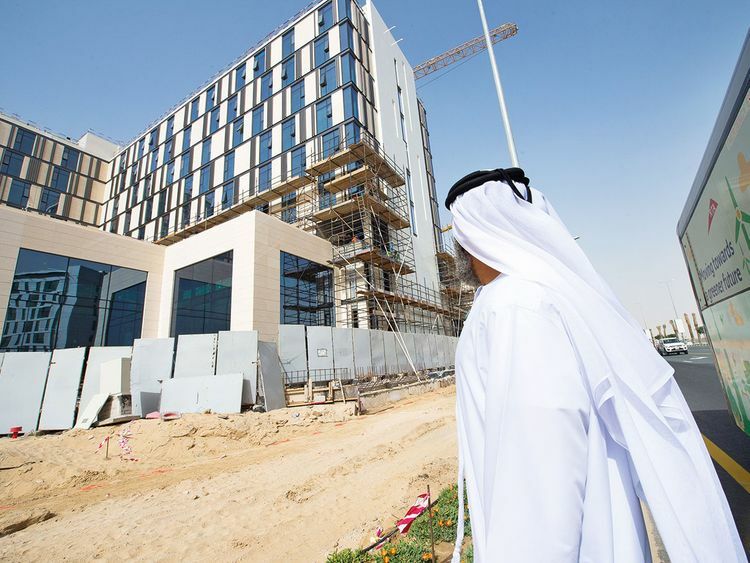 And that’s just the start as the residential component of Dubai South in Jebel Ali takes shape. The master developer is currently working on phases one and two of Residential City, which “only makes up 35 per cent of the seven square kilometre City,” said Mohammad Al Awadhi, CEO of Dubai South Properties. We are taking an extremely cautious approach to taking on new projects, and one thing we don’t want to do is saturate the market with too many [homes]. The market’s trying to find its equilibrium and [some of the] smaller developers have stopped. “That’s already more than the size of Downtown Dubai [which covers two square kilometres]. One such project with a new third-party developer could come about as early as next month. There is a lot of filling up at Dubai South, which the Dubai Government has conceived as a city-within-a-city anchored by what will be the world’s largest airport. Creating the destination will also free up population density within Dubai’s existing residential clusters, through the creation of the “southern corridor” in Jebel Ali. Dubai South’s land mass is a whopping 145 square kilometres, and divided into mini-cities such as for Residential, Commercial, Aviation, Logistics and Golf, apart from the airport and Expo 2020 site. Currently, Dubai South hosts 6,000 residents living in shared staff accommodation at Phase 1 of “Sakany” cluster in Logistics City located adjacent to Residential. A second phase will add another 11,000 residents into the leasing portfolio. Within Residential City, 6,000 homes will be ready by October 2020, adding a likely resident base of an additional 18,000-24,000 people. At Golf City, Dubai South has a joint venture with Emaar to build 50 per cent of the land under the “Emaar South” banner. Emaar, incidentally, has just released three- and four-bedroom villas starting from Dh1 million, while the golf course should open for teeing off in 2020. Other developers could be brought on board for the remaining portion, senior officials added. Even as Dubai South builds up on land, its management will be looking at what’s happening in the skies over Al Maktoum International Airport. Once its operations reach optimum capacity, this can be the catalyst pulling in more residents and businesses to Dubai South. (The airport in full operational mode is projected to hadle a passenger traffic of 220 million annually and 16 million tonnes of cargo.) At Residential City, about Dh2.5 billion has been pumped in on infrastructure and the various projects. The original masterplan was tweaked to create more residential options and with the rest given over to retail, other community-specific requirements such as healthcare and education. The other mini-cities too are fairly well-advanced on the infrastructure side. On the commercial real estate side, “A boulevard avenue will be formed where some of the biggest businesses can set up their own standalone regional headquarters,” said Al Awadhi. “We have signed the first and should be making an announcement soon. A metro or tram line connecting all the “mini-cities” within the 145 square kilometre Dubai South development is part of the masterplan. When to flag off the launch of the project has not been decided as yet. “A decision on when to launch a transport network connecting points inside Dubai South could come once the extension of RTA’s Red Line all the way to the Expo 2020 venue is completed,” said Mohammad Al Awadhi, who heads the real estate arm. “Whether the transport connectivity should happen via a metre or tram line can also be decided at the time. The way to finance such a transport network could be a mix of funding from Dubai South as master-developer, RTA and individual developer-investors with interests in the various clusters being set up there.